With a background in Health, Education & Dance, Iraina Clarke became aware of The Feldenkrais Method® 15 years ago, during a Dance/Movement therapy training course in London. 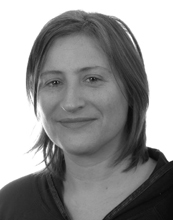 Iraina was already exploring ‘developmental’ movement & learning in children & adults as a dance/movement therapist. She found that Awareness through Movement lessons improved her dancing (variety of forms), which intrigued her. The developmental theme persisted in her career, leading to work in Arts Development in Education and Social Care, during which time she moved from the city and had a child. In contemplating the future during this time, the Feldenkrais Method® kept coming to mind, so Iraina decided to train officially as a Feldenkrais Practitioner. The training was a fascinating, frustrating and fulfilling insight into learning ‘how to learn’. Iraina’s interest in new challenges has extended to learning how to ski! Iraina is a member of the Feldenkrais Guild and teaches the Method in Bristol, Stroud and Nailsworth, to both groups and individuals. Find out more about either the group sessions or the individual sessions or contact Iraina if you have further questions.